Vodka is a huge part of Polish history. Polish vodka is amongst the most revered in the world, with a huge variety of production methods used to create the lethal beverage across the country. In fact, it's considered practically criminal to visit Krakow and not indulge with a spot of vodka. And, just a heads up – it's also frowned upon to drink vodka in any form but neat, chilled and in measurements of 50ml. 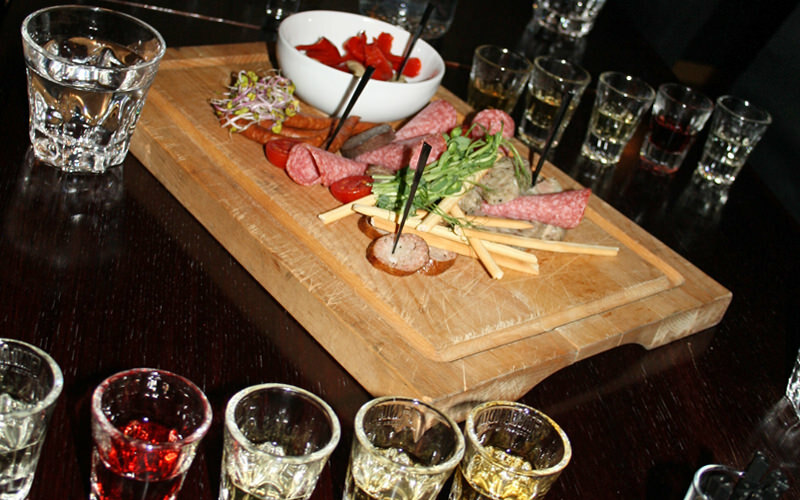 But, the vodka expert will go through all of that with this epic vodka tasting session. You and your group will sample five different and authentic Polish vodkas, with juice chasers to, you know, get rid of the taste… The professional will explain each spirit in detail, and you'll also snack on delicious breads, pickles and kielbasa (a type of sausage from Central Europe) to soak up all of that alcohol.